Plan The Unplanned presents Gokarna !! Gokarna, a temple town about 484 km’s from Bangalore, is on the Western coast of India. Located in the Kumta taluk of Uttara Karnataka, the main deity is Lord Shiva, also known as Mahabhaleshwara. This temple houses what is believed to be an original image of Lord Shiva’s lingam (Atmalinga). If you wish to experience the thrill of trekking with a difference Plan the Unplanned presents you a beach trek in Gokarna. 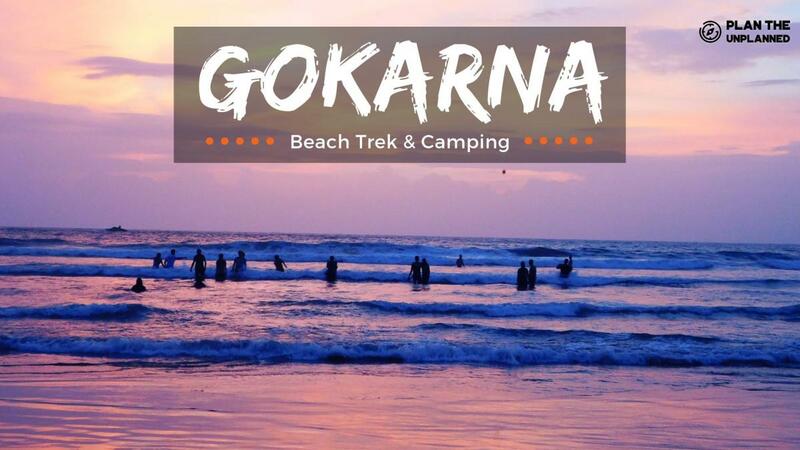 Gokarna has several beaches and the trekking trail is popularly known as “Golden Trail”. The trek begins from the Belekhan Village and ends at Kudle Beach. You would be walking along the beach side, climbing the boulders and crossing several beaches like Paradise, Half Moon Beach and more. So what are you waiting for, just get a beach trek strike off your bucket list and cherish wonderful memories with us forever? -Anything not included in the inclusions above. For more info please feel free to get in touch with us on sayhello@plantheunplanned.com.